So after Terabytes of reviews and thoughts about A R Rahman's first post-Oscar soundtrack... [oops, did I forget to put TM in Oscar?? :P] I finally declare that I am liking the soundtrack of BLUE gradually. Yes it sounds little odd cause most of the reviews / thoughts I've read, are boasting about the music. But I was dizzy when the promos started to pour in. Music did not sound quite 'Rahman'ish. But after getting the soundtrack on my Ipod, I am liking it with each listening. Chiggy Wiggy : The song I was desperately waiting for. I love Kylie Minogue hopelessly :P So definitely this would be drooling experience to see her in a Hindi movie. First portion of track is obviously superb with silly silly words and singing of Kylie. But when I heard the Sonu part for the first time, I was annoyed ! Maybe cause he disturbed me and distracted me from Kylie. And the typical words, Heeriye, Jaaniye, Soniye were let down. But after some more listening I actually loving the portion much more than Kylie's portion. The way Sonu starts his 'antara' is so so much fun. And the line 'chiggy wiggy chiggy wiggy chig chig' got me stuck!! Aaj Dil : What it reminds me of are two things : Daud and Baywatch ! Baywatch just for the piano pieces mixed in compositions. And the singing is so much like 'O bhaware' from Daud in First part of the song, which picks up immediately and whoa!! Shreya sprinkles her magical new voice. She overshadows Sukhvinder completely. Shreya here reminds me of Jism, when she stunned everyone who loved sweet singer of Devdas. In a same fashion of Jism, this song too ends up with giggles of Shreya. Love it!! Perfect for a beach outing. Fiqrana: Rahman !! It has Rahman written all over it. Its a Yuva part 2 song. But a step ahead of it, just listen it LOUDER. Close your eyes and you can feel yourself standing at a cliff !! Or as @thebollywoodfan once tweeted, a perfect song to play in your car on a long ride at 2am !! The best part of the song is the techno portion - Hoon Junoon Sukooon Main Shararaaaa.... WOW!!! But still I want more from it. I wanted this song to be sung by A R Rahman himself. [and I think he will open up his next 'Jai Ho' concert with this song, Damn sure!!] [and thank God, Farhan Akhtar denied offer to sing this song] Also loved lyrics of the song, its here. Bhoola Tujhe [Mere Khuda] : My most favorite track !! A Guitar string track. And soothing voice of Rashid Ali. What else one need when Rahman composes a track for his beloved 'Khuda'!! Though the lyrics [by Rajat Arora] are tricky, I loved them. Such a soulful track. [Here's lyrics]. Blue Theme : Punjabi??? Oh no not again....but hey its Rahman. So i must watch out for this. And man!! the song is Bombastic!! The sound 'Ba--loooo' makes it simply unique. Yaar Mila Tha : Udit Narayan+Rahman. A combination which guarantee some refreshing and fun outing. This song features very limited sound of music. A funky tribal touch and Udit doing hip-hop'ish' act with Madhushree... Fun. Overall, its a highly commercialized Rahman this time. But even with that tag, he lives up to expectations. This album surely will not end up in his own league of Best soundtracks ever, but still BLUE is commercial at its best. My Picks : Bhoola Tujhe, Chiggy Wiggy & Fiqrana . Never have I tasted the charm of a short film before. And what can be more appropriate than this..starting it off with commendable Little Terrorist directed by Ashvin Kumar. A less known name in Mumbai Film Industry, and much popular in Film Festival circuit. The movie was a huge critical success and a hot pick at numerous  film festivals after its release in 2005. Also it was nominated for Best Live Action Short Film at Academy Awards. Oh, okay, looks like promotional feature for the movie, isn't it?? :P But I was just trying to introduce newly found film-world. Its a story about a Pakistani boy-Jamal -played by street child Salim [yes, way before Slumdog] who accidentally crosses Indo-Pak border which is fiercely filled with mines. Only to find out later, that he himself is in another country, with 'other' people. While hiding from the army personnel, he meets a school master of nearby village - Bhola [Sushil Sharma] and his niece [Meghna Mehta]. I loved those tiny little moments involving cricket and feelings of post partition pain. and How he does fare in this new in a place where he is unwanted. Actually, at first I didn't know that the movie is so short. I thought it would be an hour or so long. But its surprisingly short and yet makes its point perfectly. Lead actor Salim is just perfect for the title role. In the making section, it is shown how Director selected him from a little school. But he performs his part like he has already mastered the art of acting. Theater actor, Sushil Sharma has an interesting part in his hand. He is one of the victim when time parted a single country into two. Having watched the phase in front of his eyes, the enigma of past is visible in them. Scenes between him and kid Jamal, are most delightful. The girl Meghna, is a newbie to camera too. She also shows some really potential. As a typical Rajasthani girl, who is little bit fiery, little bit shy and a bit orthodox. She looks like promising actor in future. At many points, movie leaves us thinking. Especially the one with 'Kesariya Balam' song. Its so intriguing. Similarly, the opening sequence leaves you speechless. Though the movie deals with quite common subject of cross border hatred, but neither it shouts out nor it preaches. Just smoothly story goes on , and suddenly you realize that the movie already has come to the end ! Lovely ! 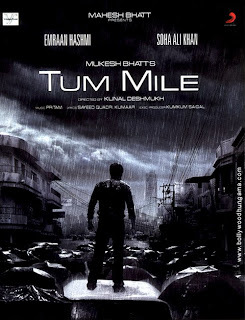 I surely want to see more from the director - Ashvin Kumar.